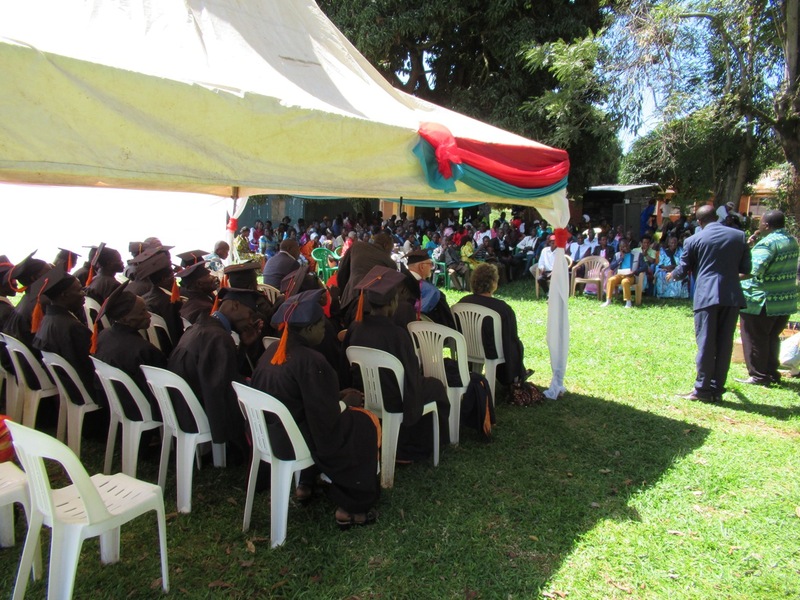 The graduation of the Lake Victoria Bible Institutes at Buvuma Island was a perfect end to a very busy trip. Seeing all the students smiling and laughing and so proud of themselves. They were so cohesive and together – they had conquered the three days of testing. Even those who did not pass were in fine spirits and even came to us and made a point of thanking us profusely because we had given them every chance. 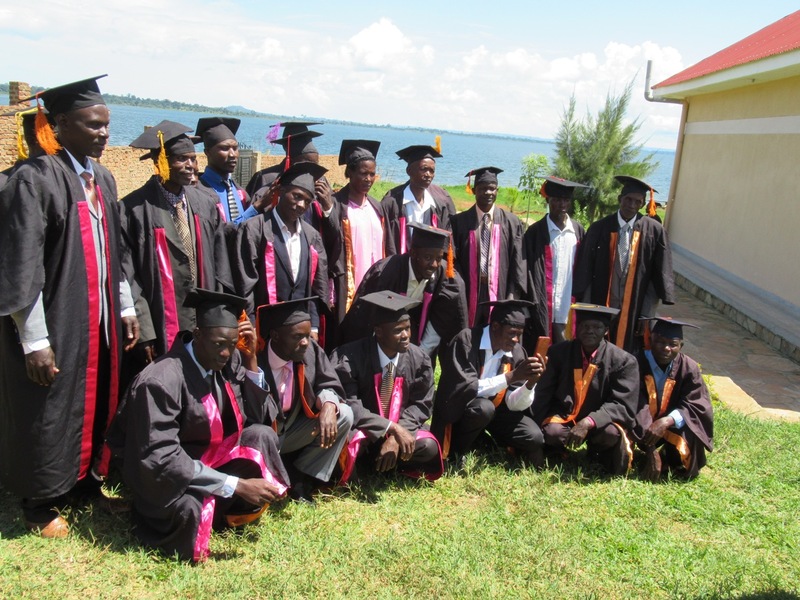 When the three plus hours of speeches and dignitaries and certificates of the graduation and delicious food were finished, we walked back up Bob and Gail hill to our guesthouse, the Buvuma Palm Resort, to the visual symphony of a magnificent sunset over the lake. It was a fine day. We were proud of the students and proud of ourselves. We were exhausted. Ten glorious weeks in Uganda had passed. Of course, the next morning was a bit of a let-down after all the highs and anticipation. More pix of the testing. Students concentrating on the written test. As we were packing up to catch the ferry, a knock came on the door. It was one of our students, in fact one of the three with the highest results on the exams. We know him well and he is a fine young man. He asked to speak to Bob. The gist of the conversation was that he was feeling that God had something more for him. He wanted to be teaching people and serving. Did Bob have any advice or help to offer? They talked awhile and Bob made some suggestions and told him to rest and wait on the Lord to show him a path forward. This was a significant meeting and development for reasons I am not at liberty to divulge at this time. Students cramming for the tests on the break between tests. As Bob and I talked later, Bob indeed did have some ideas of a way forward. Bob and I began praying about many things and how it could really benefit the Kingdom, Meade International ministry, and the young man. We both felt a peace about this. (We had lots of time to talk because of ferry problems…again!) All of that was so uplifting, to see God working right in front of us. We shall see what will come from this! Oral Exam, Bishop Waako translating. So we were STILL sitting at the ferry station waiting another two hours) when another one of our graduated students approached us and asked to see Bob. He has a small store at the ferry landing and has planted five churches in the region from the training of the Institute. We went over to greet him. As we sat in his small shop, he confessed he had been prompted by the Spirit to pray for Bob’s shoulder (rotator cuff injury, surgery scheduled for July) but had not obeyed because of the flurry of activity at the ceremony, and maybe a little fear, though this man is in every way a peer and has no reason to fear us (it’s an African thing, though). Now he was feeling heavily convicted to do it before we left Buvuma and Uganda. So we were blessed to have him pray for Bob. The students gathered for a pre-picture; alfred first row this end, kneeling. Then our student said he had something else to tell us. Apparently his churches have a desire to help support our ministry. The way they want to do this is to donate food to the lunch budget for our training each time we come to the island. This is always our biggest expense in ministry here – feeding the students at our seminars. I don’t think I can properly express how huge and overwhelming this offer of support is to us. 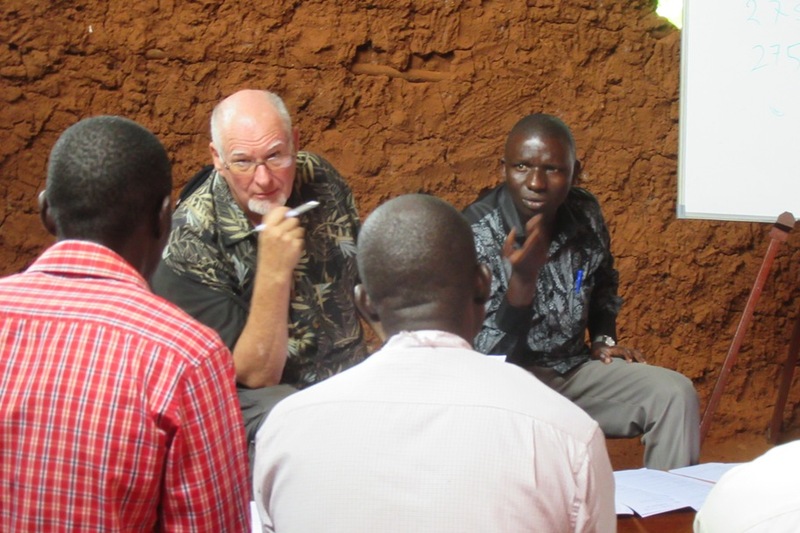 As fruit of the Stewardship Teaching, they are not asking for more ministry, but instead want to join in and partner with us for their own people, Ugandan to Ugandan. In fact, they had already gathered food for us to take this very day: avocados, mangoes, bananas and corn. Our friend said that next time we come, they will begin to gather food a month ahead and we can pick it up when we get off the ferry. Hopefully, this will feed the many students during the conference, saving a tremendous expense. Wow! The second blessing of the day. I am feeling very blessed and loved. Students under the tent, with crowd of 200 – families and guests – in background. This event, I was told was the first of its kind on Buvuma, so it drew some attention. 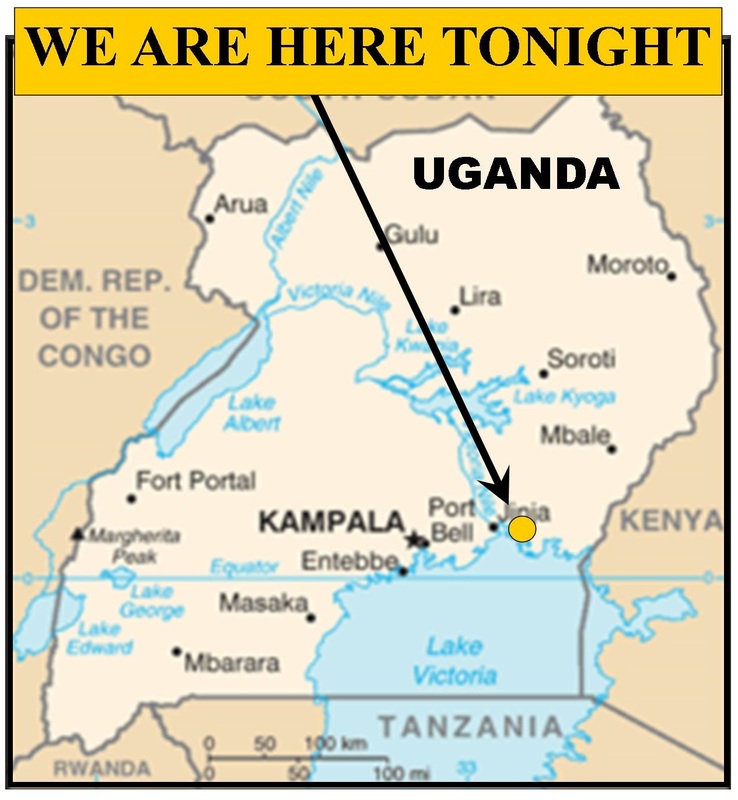 I was sitting in the ferry waiting area, yes, still waiting, when two young Ugandan men whom I did not know sat down next to me and began to talk to me. They wanted to know if we were evangelists or missionaries. Why were we here on Buvuma Island? I explained what we do and some facts about the ministry. 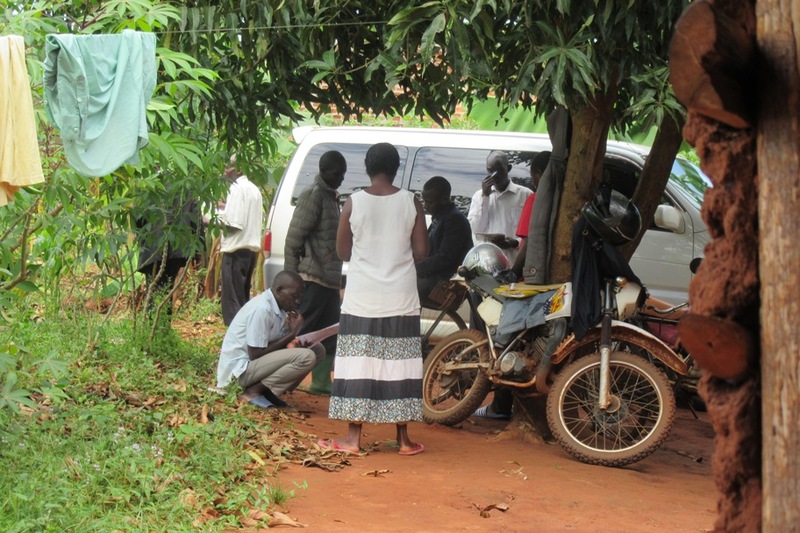 It turned out that these two men were schoolteachers and have a school very near Jinja. 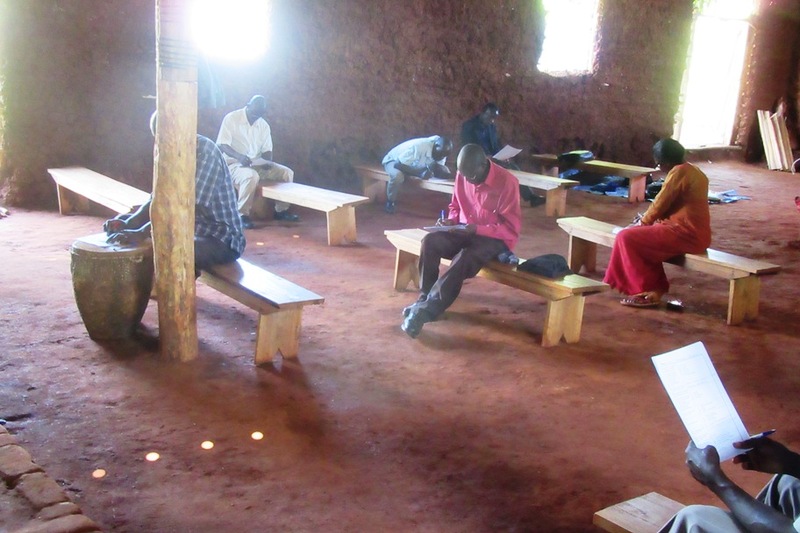 They were on Buvuma to have a meeting with some of the pastors and to talk about the needs that they had in their churches and communities – I think perhaps to start a school, desperately needed on Buvuma, but they didn’t commit to that. They were wondering if there was a way to partner with them in some way. 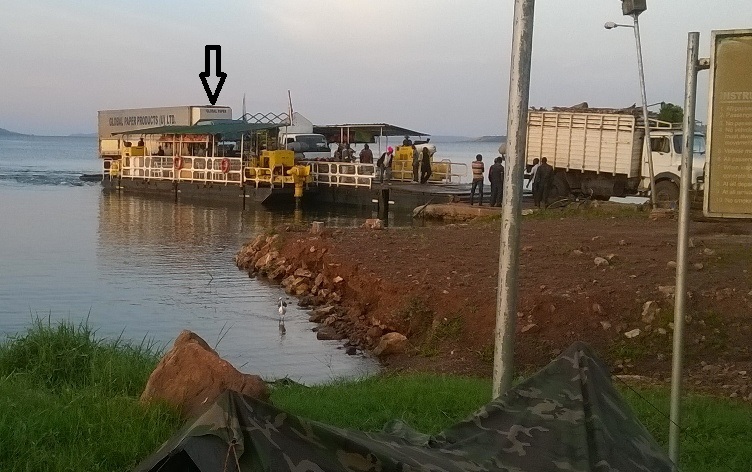 The reason we got bumped off the first ferry – Big trucks are coming to Buvuma now because it is growing. The roads are still the tiny broken dirt roads, so I’m not sure how they do it. But this little ferry will soon have to be replaced. Our car is behind the big truck with the arrow. I explained how big our organization is: Bob, Gail, Alfred and Mosaic Ft. Worth. I introduced Bob to the two men, and they had a long conversation about many things. At the end of that conversation, they asked if they could become students at the Institute. Of course, Bob said yes! I have no idea what God has in mind with this “chance” meeting while waiting for the ferry. I am so encouraged by the three different things that God put in our pathway today – day of travel over tortuous broken roads when you expect nothing but tiredness at the end of day. It will take time to sort it all out. But now, it was a great “day after” and stands equal to any of the other days we have had here in Uganda. I am glad I experienced it all. It was a national holiday today and the ferries were packed with people going home for celebrations. As is true with anywhere in the world, the “important” people get to be first in line for their cars to get on the ferry and the rest of us wait for the next one. To be fair, when some of the “important ” people and those in charge realized they had not included the missionaries on the first ferry, they apologized profusely to Alfred and said they would make it right next time. Honestly, we are no different than anyone else and we would have missed some of the blessings of the day if we had left sooner. It all works together for good to those He loves and who are called according to His purpose!